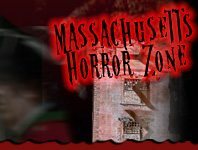 Terror, confusion, and fear will all come at you with Escape Games in Massachusetts! Attractions run from mazes to escape rooms filled with adventure and terror at the same time. Find out if you’re brave enough and strong enough to withstand all the challenges that come your way, and still come out alive this Halloween season!